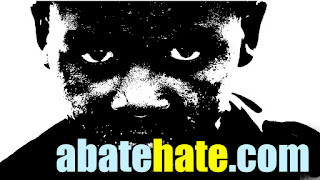 Home » »Unlabelled » Hate group roasted black pastor "like a chicken" last week. Media hushed. Hate group roasted black pastor "like a chicken" last week. Media hushed. DAILYKENN.com -- This black life doesn't seem to matter to the group Black Lives Matter. Nor do the lives of his wife and three children. All five were roasted alive along with six others when Islamic slugs locked 67-year-old Adamu Gyang Wurim in his house with his wife and children before setting it on fire. 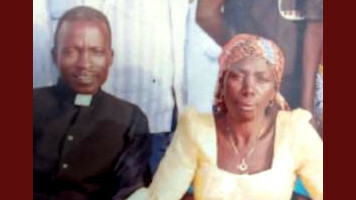 Wurim was the pastor of a Church of Christ in Nigeria's Plateau state. The media refers to Islamic hate groups in Nigeria as "herdsmen." His wife, Jummai Adamu Gyang, 45, and their three children; Theophilus Adamu Gyang, 20, Dung Adamu Gyang, 12, and 8-year-old Wurim Adamu Gyang were equally not left out. They were locked in the house and roasted like chickens when armed killer herdsmen invaded some communities of Foron District of Barkin-Ladi Local Government Area on Tuesday August 29, 2018, leaving 10 persons dead, 95 houses burnt and 225 farms with crops awaiting harvest were looted and destroyed. Sadly, Pastor Gyang who was boxed in the house made frantic effort to shield his children from the flame of fire but had to let go at a point when the pains became unbearable. They cried and wailed aloud seeking for help but the killer herdsmen took total control of the area and prevented villagers from coming to render help. Britain gets a new party? Mom appeases God by forgiving daughter's killer. Is Dennis Prager stealing my stuff?